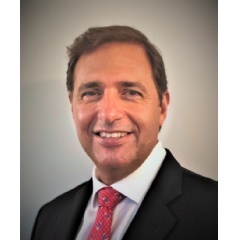 Hilton announced the appointment of Jorge Giannattasio as senior vice president and head of Caribbean and Latin America operations. In his newly appointed position, Giannattasio will oversee the dynamic region where Hilton currently operates a portfolio of more than 130 hotels. Giannattasio joins Hilton from SBE Entertainment Group, where he held the role of chief operating officer. His career spans three decades of operations and finance with global organizations, including more than a decade in the hospitality industry with Starwood Hotels & Resorts where, latterly, he served as senior vice president and chief of Latin America operations and global initiatives, overseeing more than 100 hotels, across eight brands in nearly 20 countries. Giannattasio is a graduate of Buenos Aires University and speaks several languages including English, Spanish and Portuguese.